Plants Talk. Plants Listen. Here's How : Krulwich Wonders... Animals bark, sing, growl and chat. Plants, one would think, just sit there. But it turns out that plants bark, growl and chat as well. Here's how they do it. They don't have eyes. Or ears. Or what we would call a nervous system. But plants can talk. And they listen. Let me show you how. 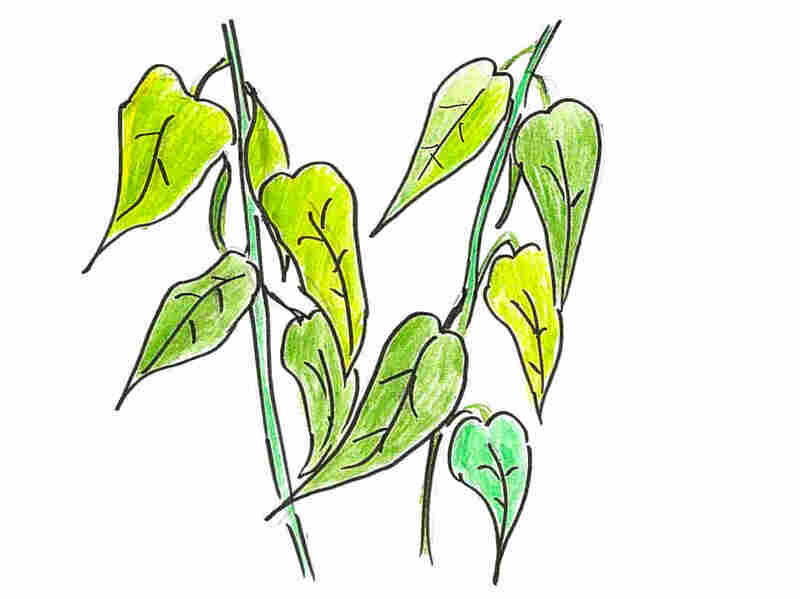 When a leafy plant is under attack, it doesn't sit quietly. Back in 1983, two scientists, Jack Schultz and Ian Baldwin, reported that young maple saplings getting bitten by insects release a spurt of chemicals that float through the air. You and I wouldn't notice, but these chemicals carry a slight odor that neighboring plants can detect. It's a little like a silent scream. These chemicals come from the injured parts of the plant and seem to be an alarm. Maybe not an intentional warning like, "Watch Out! Aphid Attack!" but more like a simple distress call like, "Aphids! Aphids! Aphids!" or, "Attack! Attack!" The chemicals the plants pump through the air are a blend of organic molecules — alcohols, aldehydes, ketones and esters — known as volatile organic compounds, VOCs for short. Over the past 20 years, scientists have found that all kinds of trees and plants like sagebrush, barley, corn, and yes, bean plants, release VOCs when they're being invaded. It's a plant's way of crying out. But is anyone listening? Apparently. Because we can watch the neighbors react. 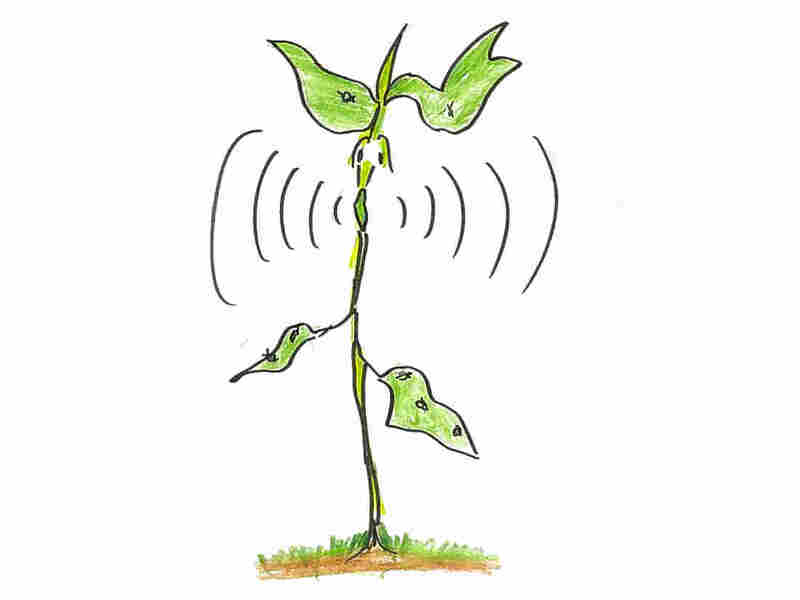 In our case, when the distress signal reaches the two bean plants on either side of our aphid-covered plant, they also emit VOCs — cries of their own. As you can see, they seem to be calling for help — that's my fanciful way of describing what happens next. 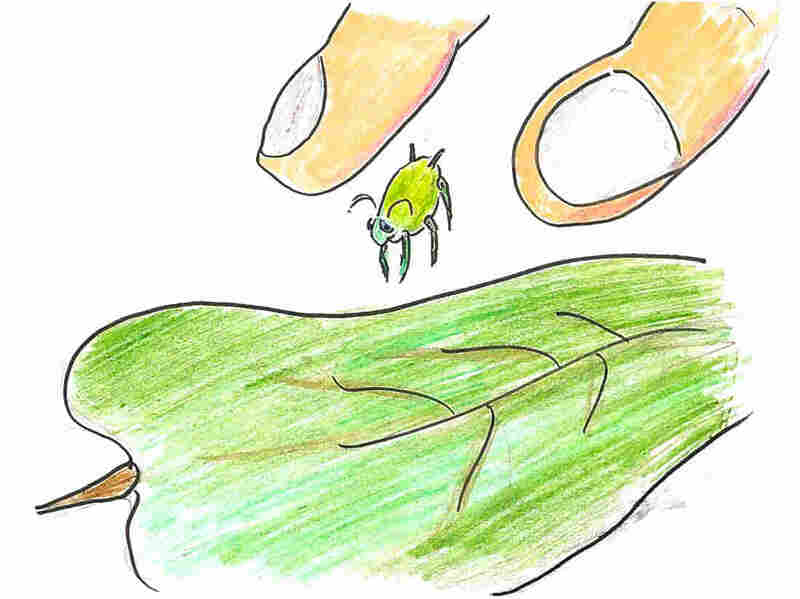 Some bean plants pump out chemicals specifically designed to keep aphids away. Those are smelly irritants, especially noxious to invaders. 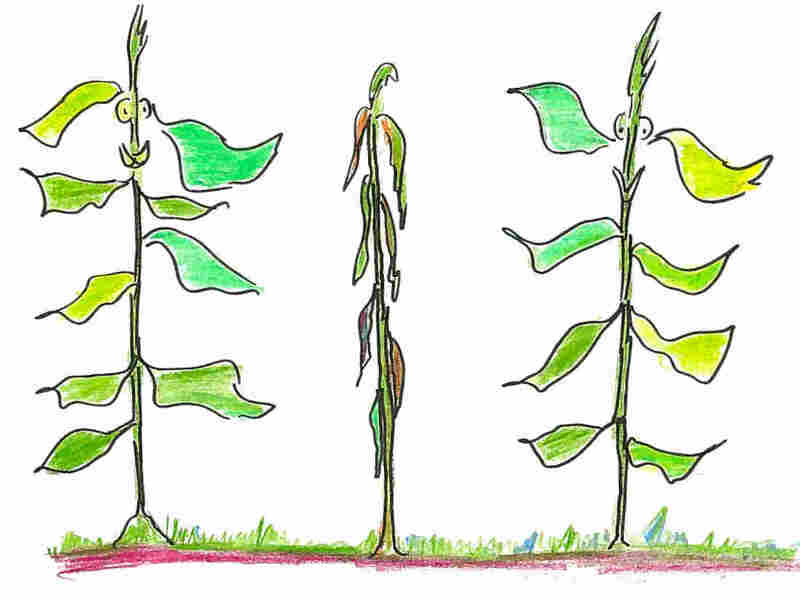 But some bean plants do double duty. They pump out attractants — perfumes designed to lure in different airborne insects — in this case, wasps. Wasps are an aphid's worst nightmare. Once they arrive, the tables are turned. The critter who was lunching now becomes lunch. In study after study, it appears that these chemical conversations help the neighbors. 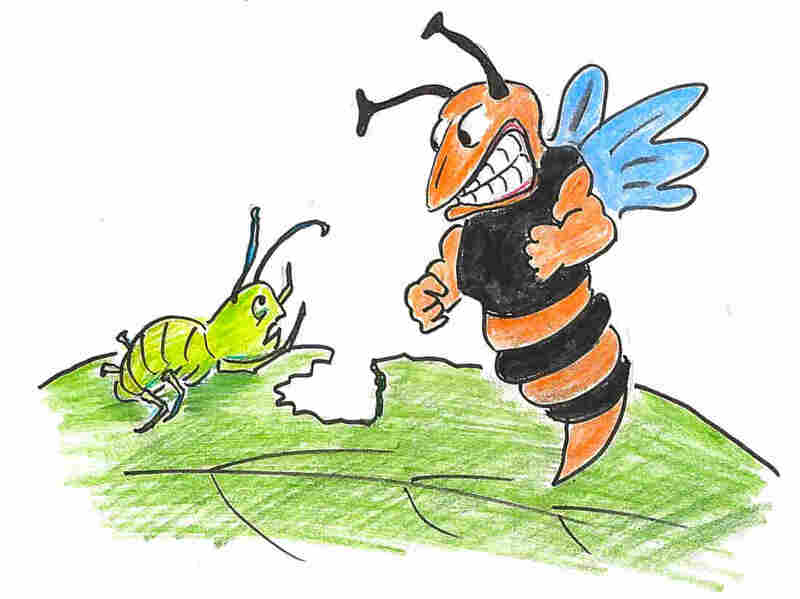 The damage is usually extensive on the first plant, but the neighbors, relatively speaking, stay pest-resistant. Apparently, they heard the alarm and knew what to do. 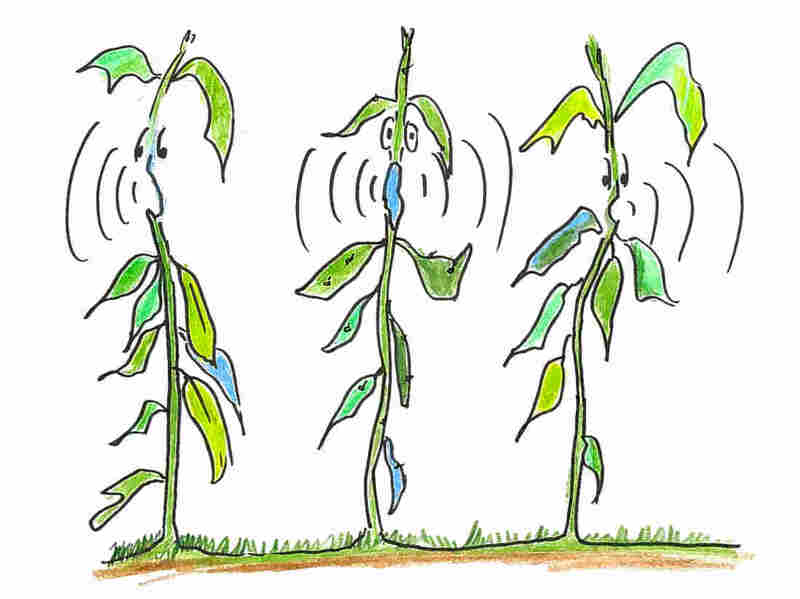 Does this mean that plants talk to each other? Did the first plant in some way intentionally send its warning? Was it doing a Paul Revere? Scientists don't know. Maybe the first plant just uttered a cry of pain or was sending a message to its own branches, and so, in effect, was talking to itself (scientists call this "a soliloquy"). Perhaps the neighbors just happened to "overhear" the cry. So information was exchanged, but it wasn't a true, intentional back and forth. Still, the more they look, the more scientists discover plants chattering. "It's pretty spectacular what plants do," Ted Farmer of the University of Lausanne told Quanta Magazine. "I'm amazed." 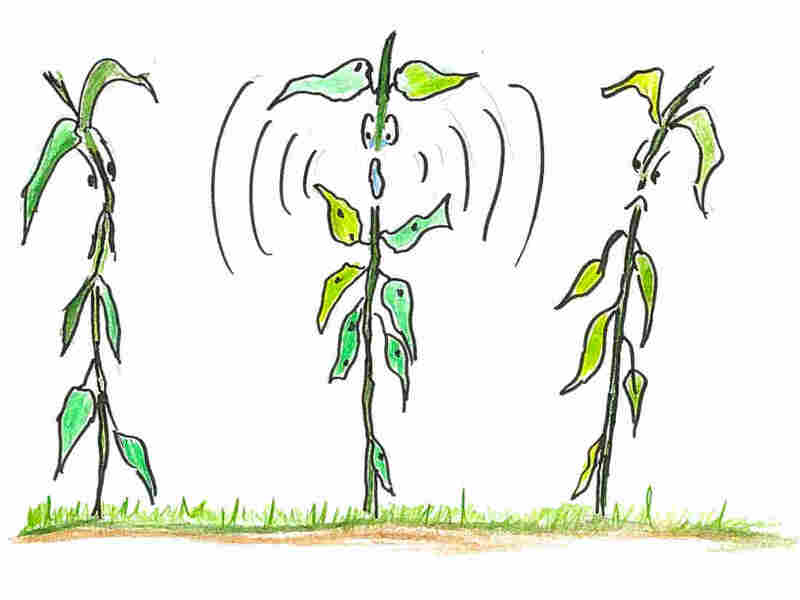 Not only do plants use airborne chemicals, they send signals underground, through their roots. 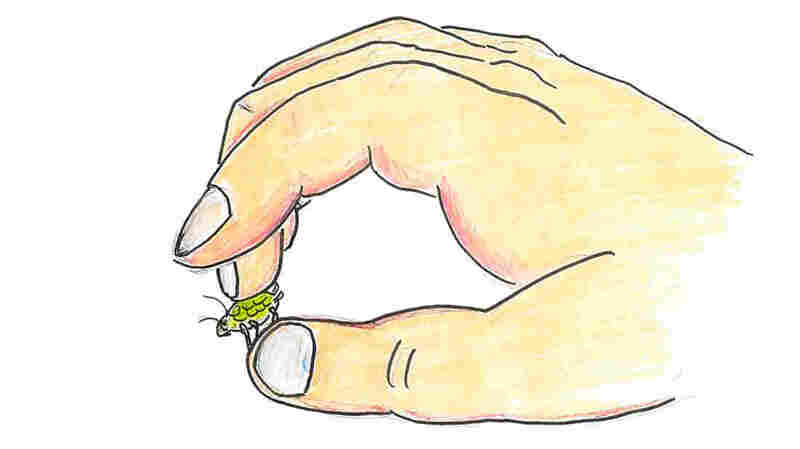 Some make ultrasonic "clicking" sounds. What feels to us like a quiet day in the forest may in fact be a hurly-burly of wafting, pulsing, clicking plant-to-plant communication. 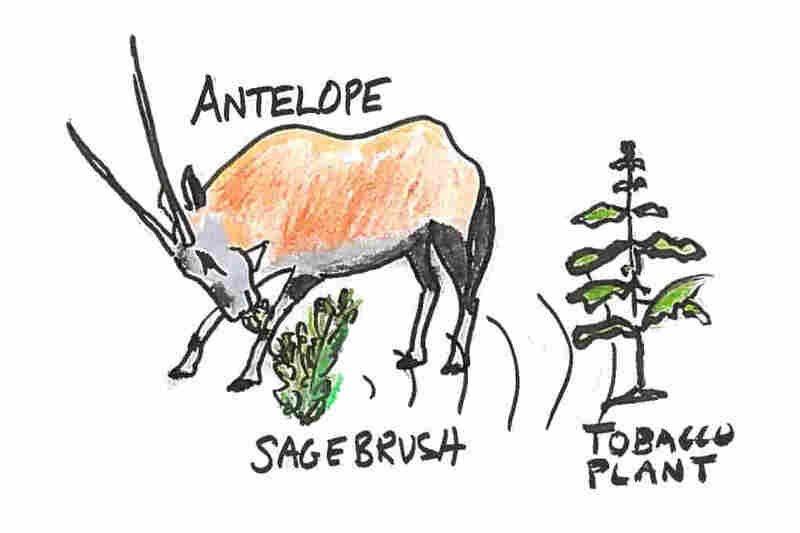 In the lab version, as the animal's teeth ripped the sage leaves, scientists watched the sage plant send a chemical signal into the air, and watched as a nearby tobacco plant picked up the signal and then emitted an odor that was noxious to the animal — strong enough to repel the antelope — protecting itself, and, arguably, helping the sage. What a complex dance! Charles Darwin, 150 years ago, imagined a world far busier, noisier and more intimate than the world we can see and hear. Our senses are weak. The world is buzzing. Darwin sensed this. "Let it be borne in mind how infinitely close-fitting are the mutual relations of all organic beings to each other," he wrote. I like that expression, "infinitely close-fitting." It suggests there's a whole lot going on, and that we're just hearing our first peep.